Hospitality Qatar 2018, which hosted the first ever conference on the ‘Future of Tourism in Qatar’ in partnership with the National Tourism Council (NTC) closed on a high note on Thursday (November 8, 2018), with participants gaining new insights on Qatar’s tourism developments. As one of the region’s largest hospitality and tourism event, various activities were held at Hospitality Qatar which ended successfully and delivered an exceptional experience over the three days to 188 exhibitors and around 7,000 visitors. The ‘Future of Tourism in Qatar’ conference has effectively explored design, innovation and smart technologies within various sessions comprising six panel discussions, eight presentations and interactive talks, with the participation of senior Qatari officials, tourism industry leaders, international experts, guests and celebrities from around the world, as well as several leading government and private entities in Qatar. Industry analysts noted that the show has managed to give a strong boost to the local tourism and hospitality industry, which is viewed as one of the major pillars and drivers for economic growth and as an essential element to the country’s efforts towards economic diversification, falling in line with the agenda of Qatar National Vision 2030. The conference also provided key insights into current challenges within the tourism sector and how it is being addressed with new developments, strategies and technologies to keep players ahead of the changes in the tourism market. Talks were held on innovation and achieving culinary excellence as well as initiatives in designing visitor experience. John DiJulius, a world renowned customer service guru and best seller author, shared his experience and gave a special talk on ‘The Art of Delivering Unforgettable Experiences’. Industry experts noted that this edition further reaffirmed Hospitality Qatar’s position as a strategic platform for business and networking opportunities for the hospitality and Hotel/Restaurant/Café (HORECA) industry in the Middle East, with over 400 business-to-business meetings scheduled during the event, and the launch of new products – from food service equipment for the manufacturing sector to a wide range of ready to use products for the consumer market brought in by over 20 countries. 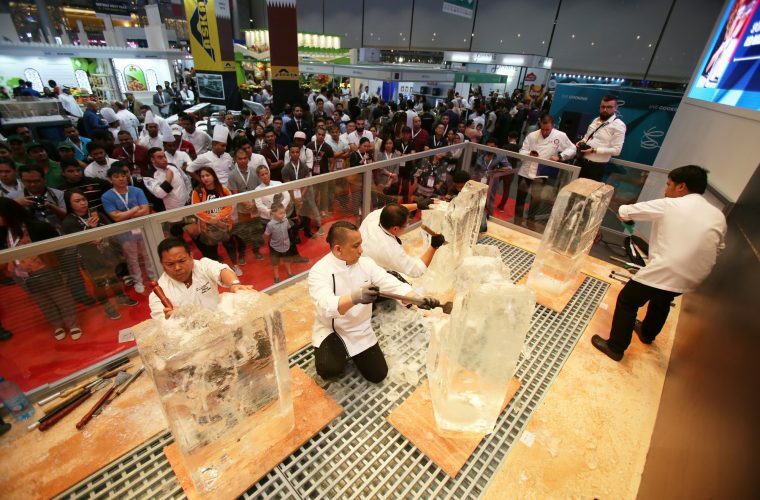 More than 188 local, regional and international HORECA companies and hospitality professionals, participated in the exhibitions while over 300 chefs from over 50 hotels and restaurants took part in ‘Salon Culinaire’, one of the main features of the event. 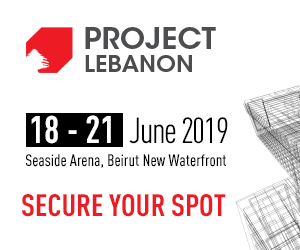 As one of the largest hospitality and tourism events in the region, it continues to attract new sector players, including countries participating for the first time. Among the new players was Algeria, which is this edition’s Guest Nation, with the largest participation of companies showcasing their products for the first time in the Qatari market. This year’s edition also featured a new initiative for young chefs that effectively put a spotlight on the country’s emerging talents. Live cooking of signature dishes, creative presentations of celebration and wedding cakes, Arabic mezza and Qatari festive foods, and barista and bartender mocktail competitions were also among the activities that took place during the three days and culminated by an awarding ceremony. The Mocktail Competition, sponsored by Red Bull, also provided a unique opportunity for the contestants to learn from the industry’s best bartenders who shared their knowledge and showcased their techniques and skills over two-days during the event, to help them achieve new levels of excellence in mocktail preparation. Subscribe to our mailing list to receives daily updates direct to your inbox!